The Joie Mytrax Pushchair is both practical and stylish. Designed to be the ultimate travel companion for you and your baby, your journeys will be so much easier with the Mytrax Flex. It also comes complete with the rain cover so you are ready whatever the weather. Why should I choose the Joie Mytrax Flex Pushchair? The Joie Mytrax Flex it's a 3 in 1 pushchair that makes travelling with the family so much easier. The seat is quick and easy to click on and off the frame. It can even be replaced with a car seat or carrycot in seconds. The equally as easy one hand fold system makes the Mytrax Flex even more convenient. The Joie Mytrax Flex Pushchair comes with car seat adaptors that are compatible with the Joie i-Gemm Car Seat as well as other infant carriers. A spring suspension system means the ride of the Mytrax Flex is 30% smoother than some of its competitors. Joie test the Mytrax Flex Pushchair beyond the standard weight usage so it has been safety tested up to 25kg. Your baby's safety is looked after thanks to the UPF 50+ hood and ventilated panels. A zip off clutch has been integrated into the under seat shopping basket for parents use too. The front tyres of the Joie Mytrax Flex Pushchair are foam filled and highly durable. The rear tyres are air filled and there is all round suspension in all four of the wheels. 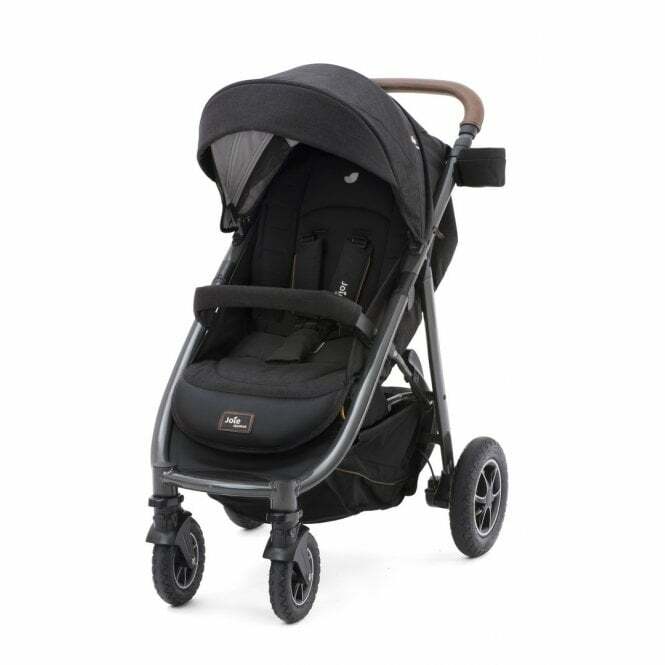 What are the specifications of the Joie Mytrax Flex Pushchair?